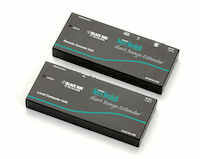 Find the right extender to streamline workstation equipment. 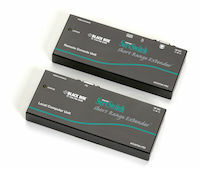 Transmit signals over UTP or STP CATx cable up to 1000 feet away. Use inexpensive CAT5e, CAT6, and CAT6A shielded and unshielded cable to extend your keyboard, video, and mouse signals. 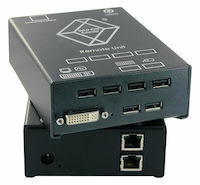 KVM Extender line includes DVI, HDMI, and DisplayPort all including USB. 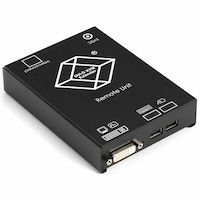 Choose from models for PS/2, USB, USB HID, HDMI, DVI-D, DisplayPort, VGA, stereo audio, and serial signal extension. Not sure what the right KVM solution for you is? Call for a free consultation on your specific application. Talk to one of our application engineers at 877-877-2269. 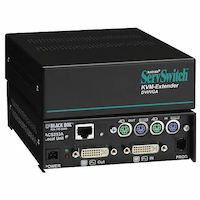 Extend analog VGA and digital DVI video signals over CAT5, CAT5e, or CAT6 UTP cable! Extend DVI-D, USB-HID up to 400 feet over CATx cable. Extend Dual DVI-D, USB-HID up to 400 feet over CATx cable. Enjoy high-quality video with this low-cost, short-distance extender. 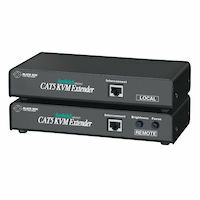 Extend VGA, PS/2 up to 1000 feet over CATx cable. 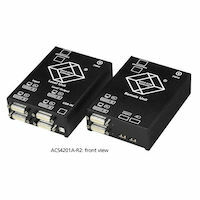 Extend VGA, PS/2 and RS232 up to 1000 feet over CATx cable. 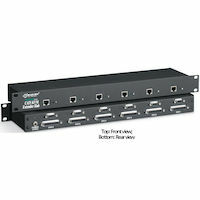 KVM serial and audio extensions up to 1000 feet. 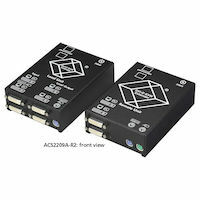 Extend (2)VGA, PS/2 and RS232 up to 1000 feet over CATx cable.